The Florida Highway Patrol and law enforcement throughout the state will be conducting increased seat-belt enforcement through Nov. 30, as the first “Click It or Ticket” campaign of the holiday season aims to reduce the risk of serious or fatal injuries in Fort Myers car accidents. 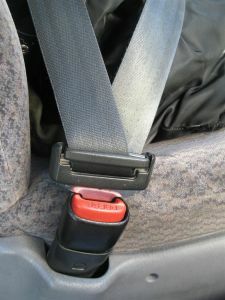 Florida law requires adult front-seat occupants to fasten their seat belts. Occupants under the age of 18 are required to wear seat-belts regardless of their position in the vehicle. Violations will result in a $30 fine plus court costs. The National Highway Traffic Safety Administration is encouraging states, including Florida, to extend seat-belt laws to adult back-seat passengers and to increase fines and enforcement. The federal government reports a 10 to 12 percent improvement in usage rates for states that move from secondary to primary enforcement laws. States that raise fines from $25 to $60 reported gains of 3-4 percent, while those with a $100 penalty saw usage rates improve by as much as 7 percent. Florida’s usage rate recently reached a record high of 87.4 percent.